The art of Search Engine Optimisation (SEO) is the aim of getting you to the top of search engine results. This process is a key way to gain traffic to your site and generate website views and conversions, whilst keeping the costs low. 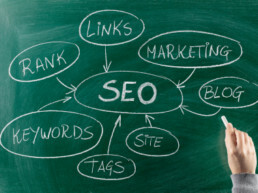 SEO is our long-term solution to boosting your website visitors. Search Engine Optimisation is making sure that your website has built for so the Search Engines can match their user’s query to your website. 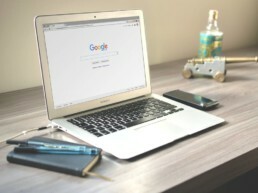 We will start by doing some solid keyword & market research to help guide our SEO strategy and allow us to provide realistic projections and forecasts of opportunity within your market. We don’t make unrealistic estimations or promises we can’t keep. Being a company that works closely with search engines and social media, we are constantly up todate with there algorithms and best practices that keep you at that number one position. We use the best tools to ensure the search engines are able to effectively discover, crawl & index your web pages for maximum visibility. Our SEO services will analyse your website’s structure, internal architecture & other key elements such as links, content, reach, that are embedded into the search engines algorithms. We can then give our best recommendation for improved relevancy & alignment in targeting your keywords. We advise on all aspects of SEO, from new sites, site migrations and general improvements. Our SEO services are split into 2 different areas to help you identify what you need and how we can help. Our focus is getting you to the top of the search engine results. This process is not a quick fix, but once done you are guaranteed to be in the right place without having to pay a cost per click. Therefore appealing to audiences with adblockers and other add-ons that affect your search engine PPC platforms. Along with optimising your website and blog posts for search engines you can also optimise your social media accounts to have the best results on your chosen platform. This is a helpful method for increasing your account followers, interactivity and other positive goals with your social media. There is only so much you can actually do a dormant social media account. the key to social media optimiation is being active and relevant. Whether it is a tutorial workshop you are after or ongoing consulting JM will give you all the support you need to grow your social presence.